Thursday and Friday brought thunderstorms to our area. 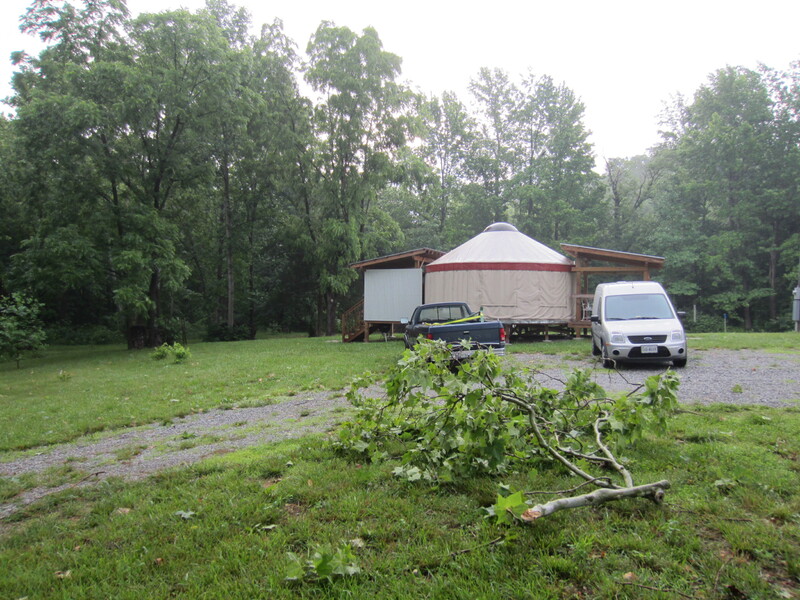 We had several inches of rain, strong winds, thunder, and lightning. Several large limbs fell out of the sycamore trees. But some beautiful, cool weather has followed this weekend and we are enjoying a break from the heat. 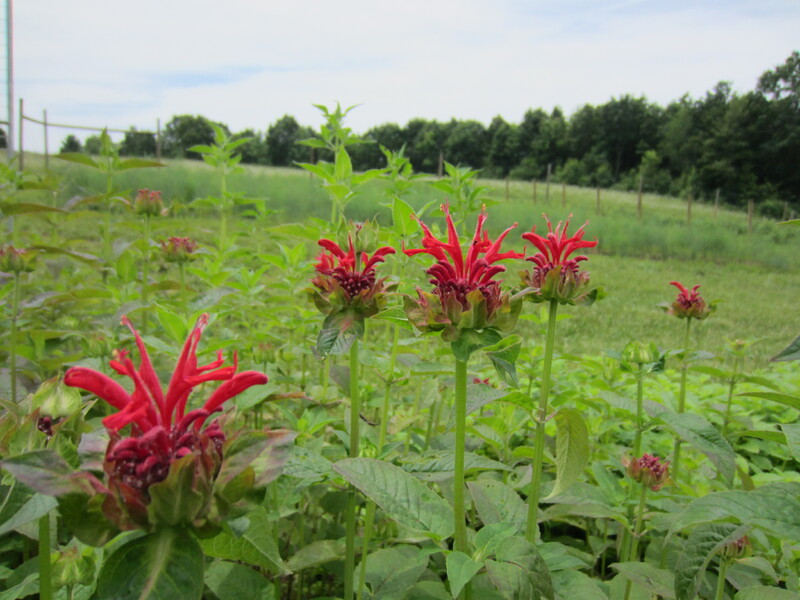 The monarda or ‘bee balm’ started blooming last week. It has taken a full year to get established, but worth the wait! Nice straight stems and crazy-looking flowers.